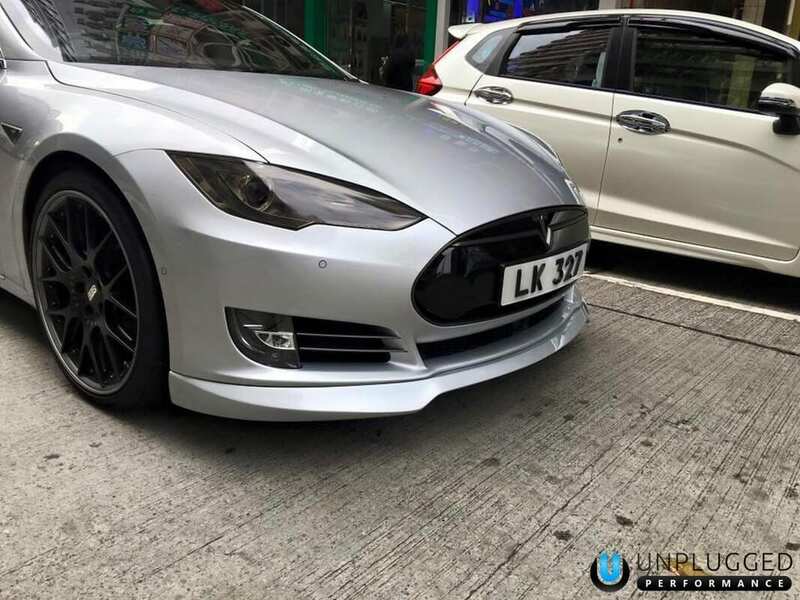 The Unplugged Performance Front Spoiler and Diffuser is a great and easy way to add sportiness and style to your Model S.
Installation is simple, with the UP Front Spoiler and Diffuser attaching to the factory bumper using the original mounting points, with no modification required. 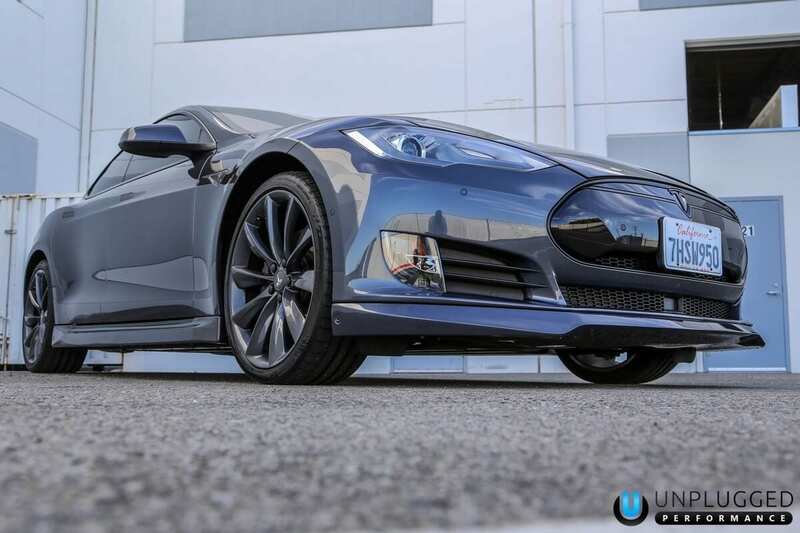 Despite looking aggressive and increasing downforce for sporty driving, the ground clearance is kept at a comparable level to the factory specification for peace of mind. 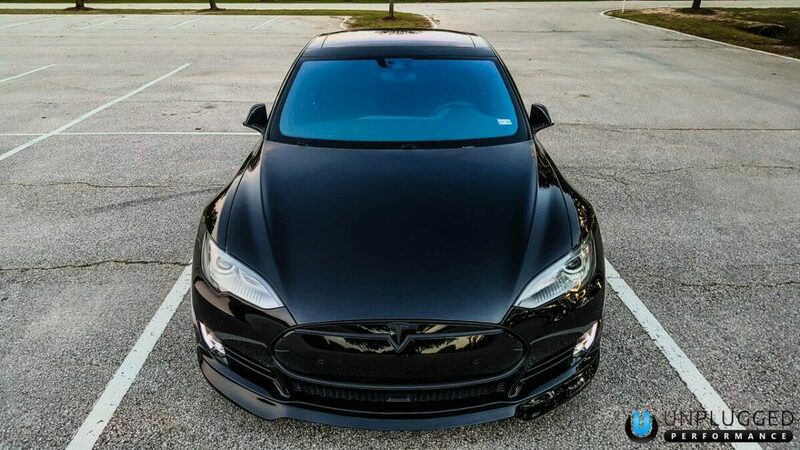 This item is available in the following variations: unpainted, premium factory color paint, or in beautiful dry carbon fiber. 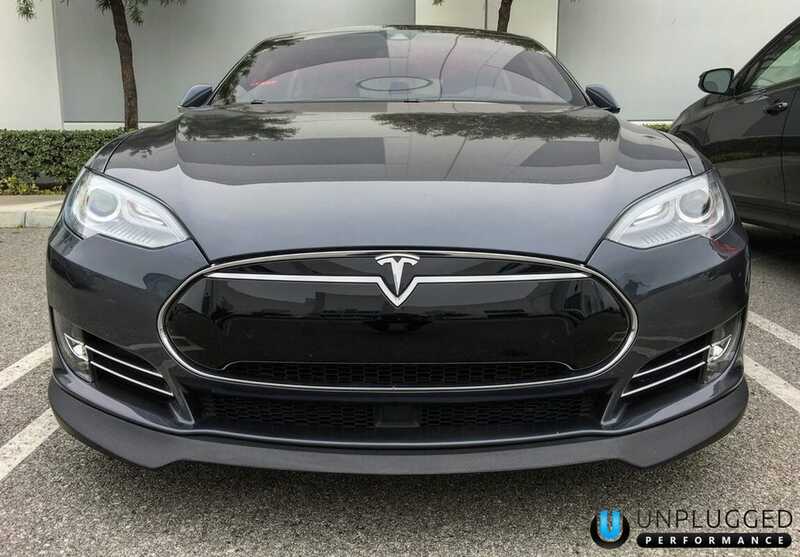 This front spoiler is designed and produced to the highest quality levels in Hawthorne, California. 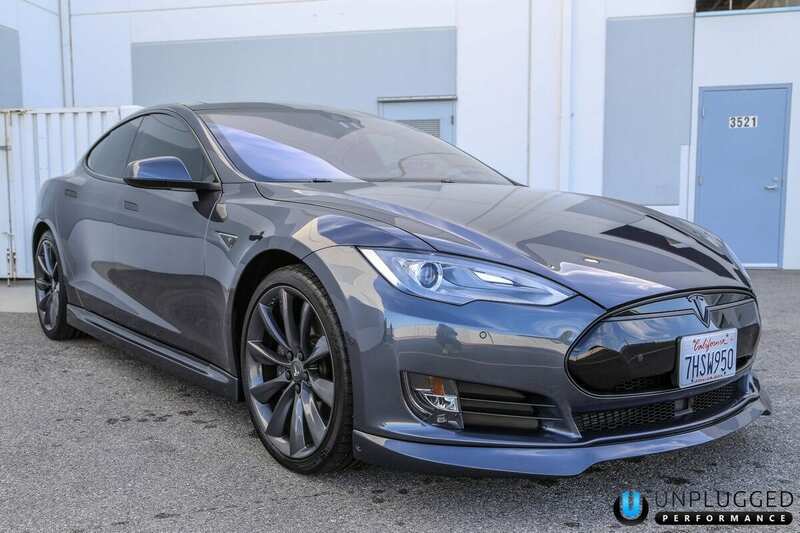 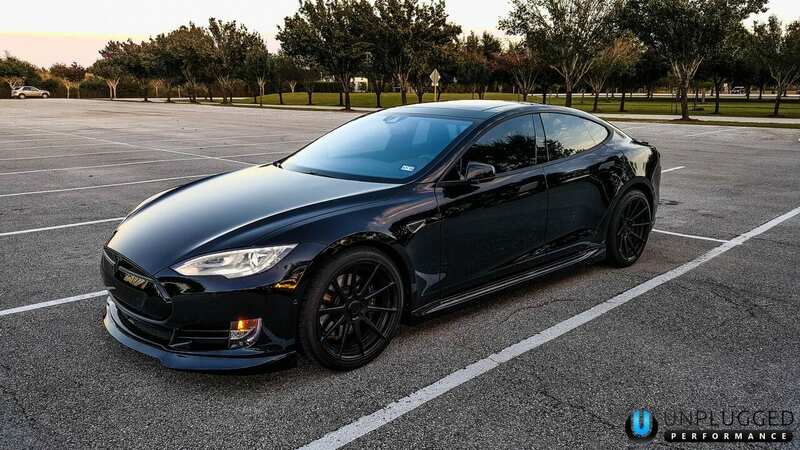 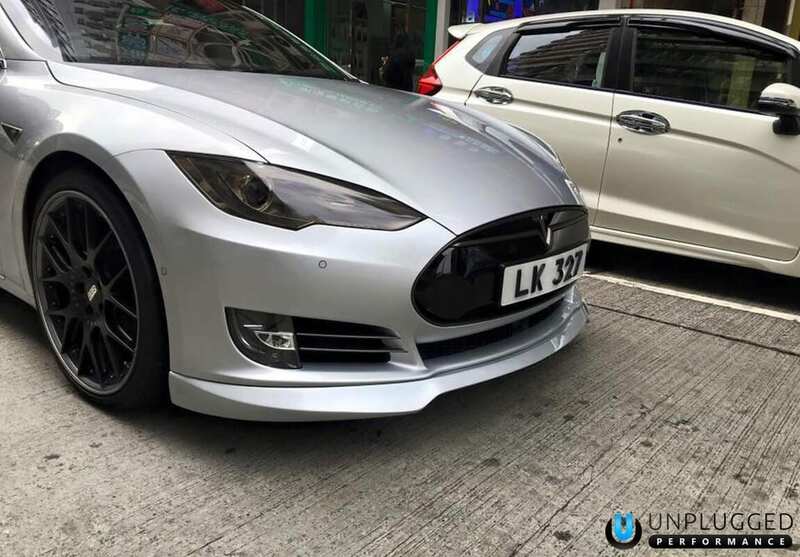 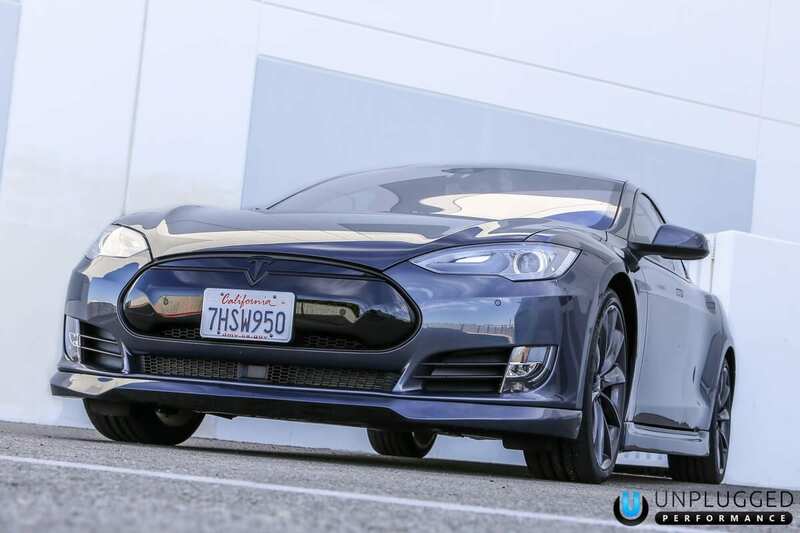 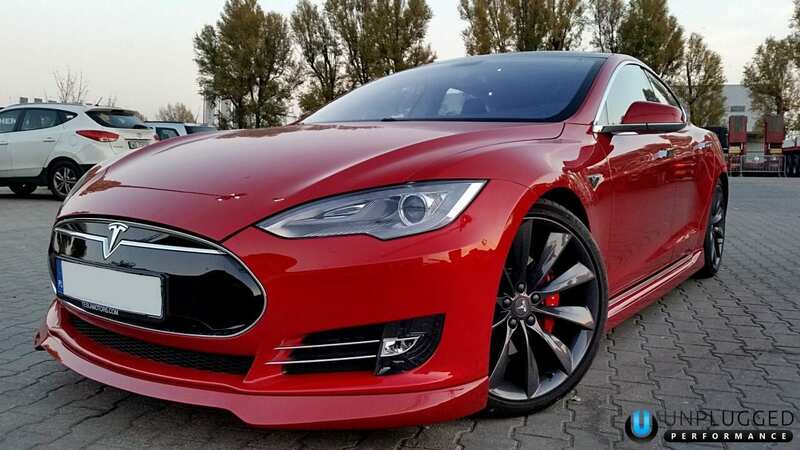 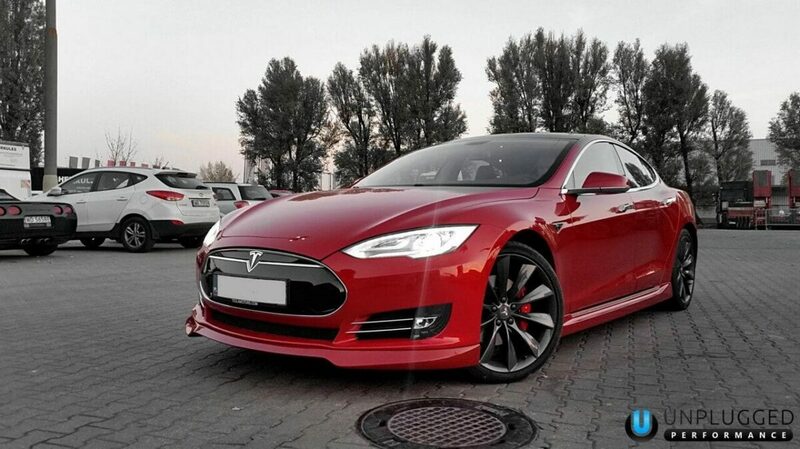 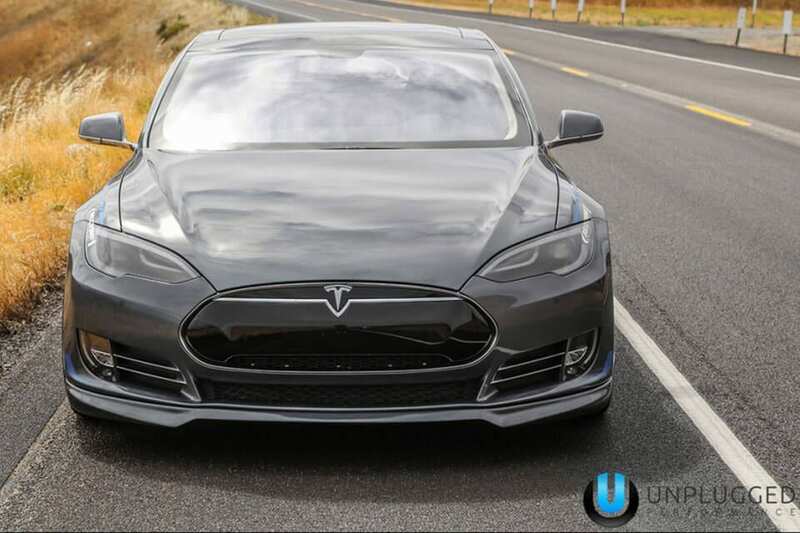 All front spoiler/diffuser systems purchased in either the unpainted or painted variations are produced in a Tesla factory style of impact resistant urethane. 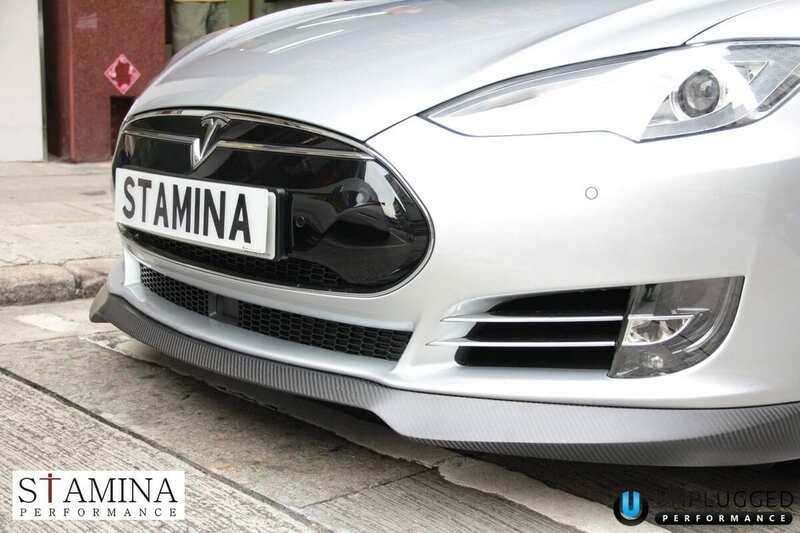 This production method allows significant durability as the material rebounds to the factory shape after experiencing an impact. 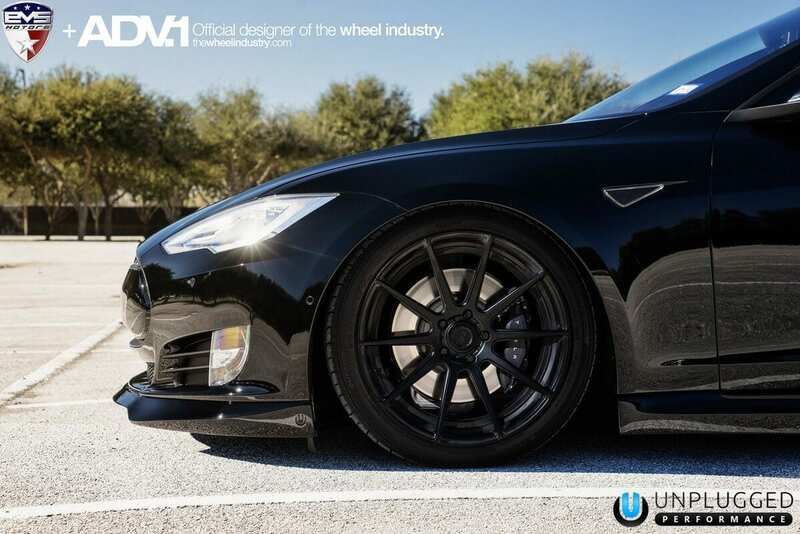 Carbon fiber option remains as carbon fiber for those looking for supercar grade lightweight construction. 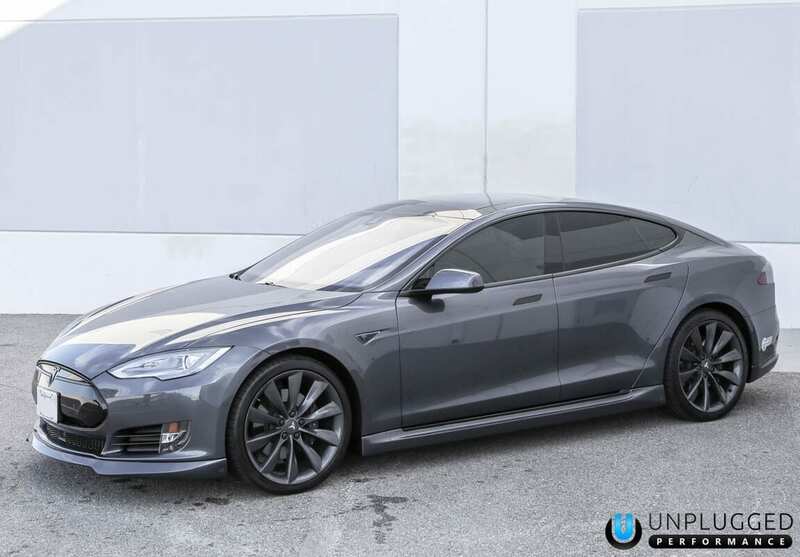 Compatible with all Model S variants including models featuring Auto Pilot.